Cap Skye designed the original version of this card, which went through playtesting with some slight modifications. 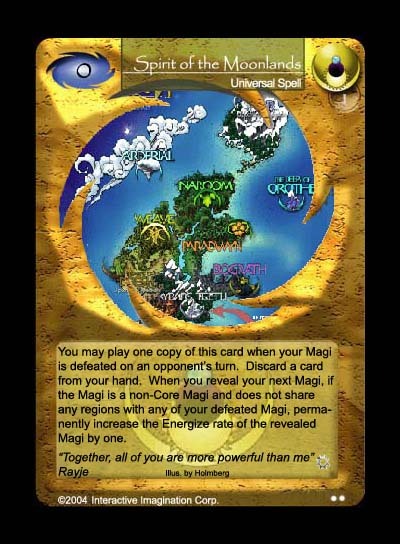 This card encourages multi-magi decks, a rarity in the MND world and functions like all other Spirit spells - magi has to be defeated during an opponent's turn and a card has to be discarded from hand. Of course there are other restrictions as well. The art is the map of the Moonlands.